T he multi-talented Jonathan Cohler is not only in demand as a conductor, but also as an internationally recognized virtuoso clarinetist. 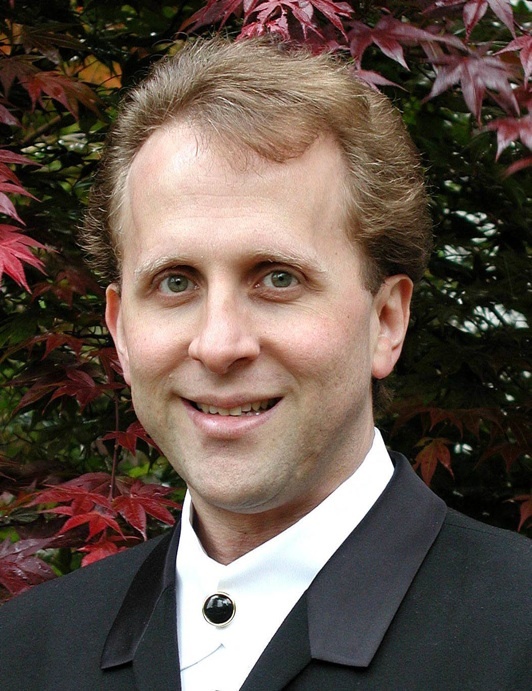 Mr. Cohler is the Music Director of the Massachusetts Philharmonic Orchestra, a professional orchestra in Boston. He is also the Assistant Conductor of the Youth Philharmonic Orchestra at the New England Conservatory of Music under world renowned conductor Benjamin Zander, as well as Artistic and General Director of the International Woodwind Festival in Boston. For ten seasons Mr. Cohler was Music Director of the Brockton Symphony Orchestra and the critics unanimously praised his energetic transformation of that orchestra. Mr. Cohler is also very active as a guest conductor. In demand as a guest conductor all over the world, his recent engagements have taken him to Venezuela, China, Brazil, the New England Conservatory of Music and the Hartt School of Music. He has also assisted renowned conductor Benjamin Zander with the Boston Philharmonic Orchestra. Upcoming engagements include orchestras in China, Slovakia, Brazil, Cuba, Peru, Argentina, and Colombia. In addition to his work with professional orchestras, Mr. Cohler has conducted several youth orchestras, and both District and All-State orchestras. For the past two summers he has also conducted at the International Music Festival of Campos do Jordao in Brazil. Mr. Cohler has previously held Conductor and Music Director posts with organizations such as The Music Festival of the Hamptons, the Harvard-Radcliffe Ensemble Society, the Greater Boston Youth Symphony Orchestra, the Empire State Youth Symphony Orchestra, and he has performed guest conducting stints with the Indian Hill Orchestra, the Boston University Tanglewood Institute Orchestra, the Colorado Philharmonic Orchestra, the Boston Mozarteum Orchestra, the Composers in Red Sneakers and many other professional ensembles. Mr. Cohler’s solo-clarinet recording The Clarinet Alone on Ongaku Records has been heralded as a “must buy” by the International Clarinet Association’s The Clarinet Magazine, which praised Cohler as “an absolute master of the clarinet, technically and tonally. The Clarinet Alone was also nominated for the prestigious INDIE Award (the independent record industry equivalent of the Grammy). Mr. Cohler’s first recording, Cohler on Clarinet, received resounding acclaim, including the coveted top rating of five stars for both sound and performance from BBC Music Magazine. His second recording, More Cohler on Clarinet, was chosen as one of only three clarinet recordings cited in BBC Music Magazine’s Best CDs of the Year special issue; his release Moonflowers, Baby! on Crystal Records received the “Outstanding Recording” mark from the American Record Guide; and Fanfare Magazine compared him to three of the giants of classical music: “one thinks of Dinu Lipatti or Youri Egorov, or ... Reginald Kell.” Fanfare also called Mr. Cohler’s performance “superhuman.” The world’s largest circulation classical music magazine, BBC Music Magazine, featured a CD by Mr. Cohler on the cover which was distributed to more than 350,000 people worldwide. His conducting teachers and mentors include Boston Philharmonic Orchestra Music Director and Grammy-nominated conductor Benjamin Zander, and Osaka Philharmonic Orchestra Music Director Eiji Oue. Mr. Cohler is a member of the clarinet, chamber music and conducting faculties of the Longy School of Music, the New England Conservatory, and the Boston Conservatory in Boston.